Top oil exporter Saudi Arabia is using its political clout and financial power to draw regional allies into a united front against perceived threats from Iran and popular discontent with Arab autocrats. Saudi rulers, alarmed by shifts in U.S. policy in response to the toppling of long-time ally Egyptian President Hosni Mubarak and protests roiling Bahrain, Oman and Yemen in the kingdom’s own Gulf backyard, are vigorously pushing back. “Saudi Arabia is using its excess budget wealth to silence the revolutions or shape their outcomes,” said London-based Saudi researcher and author Madawi al-Rasheed. Riyadh has pledged $4 billion in aid to Egypt, throwing a lifeline to new rulers struggling with the economic impact of the anti-Mubarak unrest. It was also instrumental in a $20 billion handout to Bahrain and Oman for job-creating projects. Saudi Arabia shares U.S. fears that Iran wants nuclear arms and has struggled to adjust to rising Iranian regional influence since the 2003 U.S.-led invasion of Iraq produced a Shi’ite-led government in Baghdad. It also worries about popular unrest. “The kingdom is very concerned about the revolutionary wave. They don’t want the waves to reach the shores of the Gulf,” said Saudi political analyst Khalid al-Dakhil. The Saudi-led Gulf Cooperation Council (GCC), grouping six Sunni-ruled oil producers, is considering letting Jordan and Morocco join, adding two more monarchies to a bloc that includes Bahrain, Kuwait, Oman, Qatar and the United Arab Emirates. The invitation to the two non-oil countries was motivated by defence needs, not economic logic, analysts say. The GCC, which sent troops to Bahrain in March to help quell protests by majority Shi’ites there, wants extra muscle to counter perceived military and security threats from Iran. “It doesn’t make any sense from an economic perspective. Morocco has nothing to do with the Gulf and is far away. The Saudis want to support two allies,” said an analyst in Riyadh. Despite their often tense ties with Syria, a friend of Iran, Saudi rulers are worried about the fallout of protests against President Bashar al-Assad, which they fear could destabilise neighbours such as Jordan, also the scene of some protests. “They want to support Jordan. I think they could use Jordan as a buffer against Syria which is unstable,” said Rasheed. 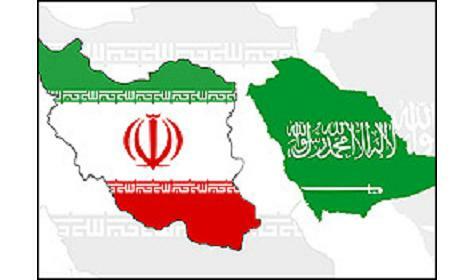 Riyadh has tried to wean Syria from Iran, offering economic cooperation after King Abdullah visited Damascus in 2009. But no Saudi firm made big investments in Syria, which kept its alliance with Iran. U.S. officials have even accused Iran of helping Syria quash protests, a charge both countries deny. Saudi financial aid to Egypt aimed to prevent instability in the Arab world’s most populous nation, and to discourage Cairo’s new rulers from mending fences with Tehran. “Their biggest worry is that Egypt restores ties with Iran,” said Rasheed. The kingdom, home to the holiest Muslim sites, sees itself as bastion of Sunni Islam and had relied on Mubarak to contain Shi’ite Iran. King Abdullah initially backed Mubarak when Egyptians rose up against their leader. Saudi Arabia also gave refuge to ousted Tunisian leader Zine al-Abidine Ben Ali. Days after the Saudi aid package, Egypt briefly detained and questioned an Iranian diplomat for spying. “It’s interesting how immediately after Saudi Arabia announced the financial package, Egypt arrested the diplomat,” said Mohammed al-Qahtani, a prominent pro-democracy activist. Iran’s President Mahmoud Ahmadinejad urged Egypt on Wednesday to rebuild diplomatic relations with the Islamic Republic, saying the resulting emergence of a new “great power” would force “Zionists” to leave the region. Saudi Arabia, an absolute monarchy, is also looking inward. After returning from a prolonged medical absence in February, King Abdullah pledged $130 billion in handouts to create jobs and provide housing for a rapidly-growing population. Dakhil said the quest for security in the kingdom, which forbids public assembly and enforces strict Islamic rules, would be advanced by allowing more freedom and pursuing reform at home, rather than by seeking friends abroad. “The best way to protect the monarchy is to protect from within not from outside — whether military capabilities, political or economic reforms. Jordan and Morocco can’t provide any protection for Saudi Arabia,” he said.